Author's Note: This OpEdNews interview with Barry Vogel regarding his radio interview with Bernie Sanders a quarter century earlier has been hibernating since 2016. In the meantime, we've witnessed the second anniversary of Trump's inauguration and the three annual Women's Marches. There is something endearingly familiar, outspoken, consistent and comfortable about Bernie's comments then and now - for good reason! 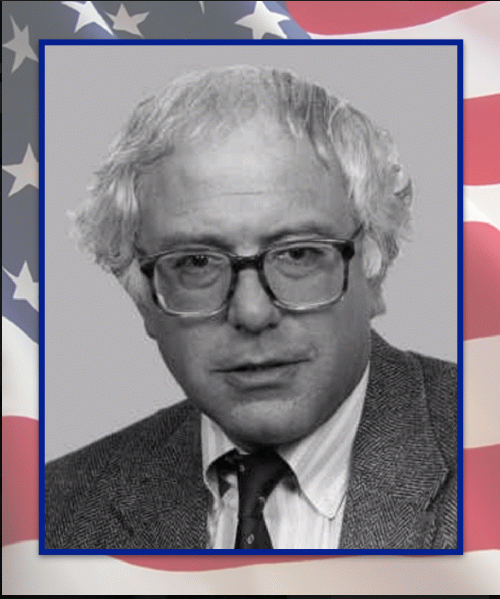 We recognize Bernie today as a more grizzled, but essentially unchanged, version of this 1991 "radio-interview Bernie," newly elected to the House of Representatives. I thought you readers would enjoy this trip in the time machine. You'll find something to chew on, with both the backstory of Radio Curious and the beginnings of Bernie's political career in Washington, starting over a quarter of a century ago. He has gone on to become the longest-serving Independent in Congressional history. Joan Brunwasser: My guest today (2016) is Barry Vogel, host and producer of Radio Curious. Welcome to OpEdNews, Barry. Many of our readers may not have heard of Radio Curious. Can you give us a little background, please? Barry Vogel: For as long as I can remember, curiosity has encouraged me. Radio Curious is my passion to have serious discussions with people who do things about which I am curious. And it seems odd not to be curious about all the odd circumstances in which we daily find ourselves, on both a micro and macro scale. Radio is easy, and it leaves the images to the listener's imagination. I like that better than television where the visual sense is proscribed. Radio Curious ( RC) is a collection of long form radio interviews which has been on the air for 25 years. RC includes interviews from the micro level of how individuals think, as discussed in some of the visits with psychologists and psychotherapists, to the macro when we discuss evolution to near term human extinction. 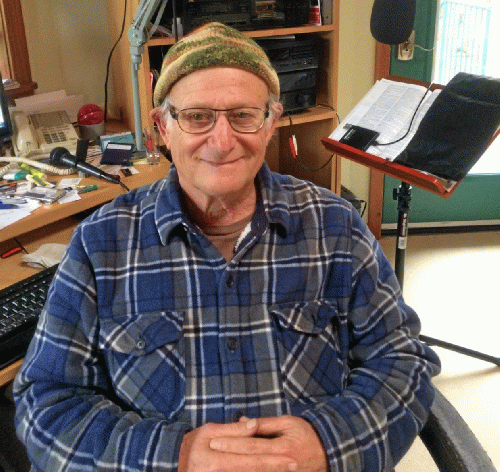 The program began at the urging of a friend soon after Mendocino County Public Broadcasting, (KZYX and KZYZ) went on the air in 1991. He said "record live." Pretend the conversation is live, "on-air." That sets a spirit of spontaneity yet permits editing. Editing sound waves is very similar to editing written words except that the symbols are different. JB: I didn't know that. You're also a lawyer, correct? How does that dovetail with Radio Curious or does it get in the way? How's the juggling going? BV: They are both very important in my life from as far back as I can remember. Asking questions was how how both my parents made a living. My father was a lawyer and my mother is a retired psychologist. I would listen to their dinner conversations and try to understand, and piece together my nascent understanding of my world as best I could, and ask questions. My mother has told me it was as if I had eyes in the front and back of my head. She said I was curious about everything. I thought everybody was. The questions I ask as a lawyer are similar to the questions I ask as a radio interviewer. As a lawyer, the focus is on why the client is in my office; what is the problem and what is the client's goal; am I familiar with that area of the law such that I may help achieve the goal? As a journalist, I visit with guests who have knowledge and experience in areas about which I am curious. I often ask open-ended questions, based on a book or information about the topic. Often I say that I practice law to support my radio habit. View All 81 Articles in "Overcoming Challenges"
It isn't what he said before or after July 25, 2016 that forms my opinion. It is what he said on July 25. All else is dross. When the chips were down he caved in ignominiously and totally without explanation. When, in history, was a defeated general ever made leader of the nation? I won't have it unless he comes clean with evidence to show us. I absolutely suspect that something quite sinister was going on behind the scenes, ie something like Bernie was threatened (or more likely, the lives of his grandkids were threatened), and in those situations, the truth can get buried by very good people in order to protect innocents. So yes, that situation was a BIG anomaly. However, I don't judge people's careers by the one anomaly, I make my assessment on the things that they have been rocksteady about, because foul play can silence a person with the best intentions. Foul play silenced JFK and MLK and RFK and Paul Wellstone, and I am sure it silenced Seth Rich and Julian Assange, Mike Connell and even JFK Jr. We may never know the real truth behind some of these things, or we may find out but much later, and in the meantime, we might have maligned a person who could have done a lot of good. How many times have we judged a person only to find out an additional piece of evidence that showed a completely different picture? So while Idk exactly what was going on behind the scenes with Bernie, I am positive that if/when the truth emerges, it will make sense, and when the whole picture becomes available, we will see that Bernie acted with as much moral integrity as he does with everything else that we have a clearer view of, because that is what he has shown by example in other situations. And in the meantime, I am glad to have his brand of ethics serving me in Congress. You have a lot more faith as to what the truth is than I do. I was 100% behind Bernie until he did that. 1. If they threatened him in any way he should have exposed it and refused to quit. 2. If they threatened him with death so much the better for his case. 3. If he didn't have a witness or a recording of the threat, that's negligence. Great article! Good to know that he's sticking to his vintage values!